Bonobo lands in EC1 for our ** event series. 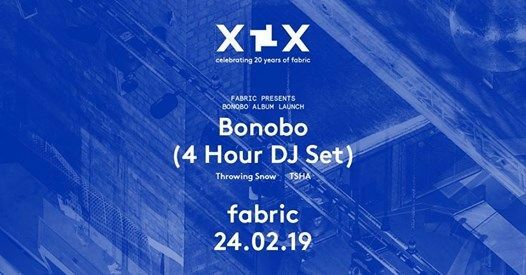 Having made his debut with us towards the end of last year, Bonobo returns for an extended Sunday daytime session as part of our 20th anniversary celebrations. He also joins us in preparation for curating the first edition in our new mix series, ‘fabric presents’. Bonobo plays an extended set on the day, joined by two UK artists and contributors to his forthcoming compilation, Throwing Snow and TSHA.